We now offer a Open (formerly known as the Competitive League) League and a Coed League!!! Coed teams must have female players on the team and rules apply to how much everyone plays etc. Coed and Competitive League games are 6-on-6 consisting of four 10 minute quarters. Eight game season and playoffs beginning September 2019. Team Captain Meeting is Mandatory and will be held before the start of the season. Limit of 14 players on the roster of each team. Registration begins July 1st, 2019!!! Full or half court pick-up games. Refer to monthly gymnasium schedule. Get your cardio while learning and playing the game of basketball. Scrimmage, drills, exercise, rules, and fun. Refer to monthly gymnasium schedule for times and dates. Monday through Thursday mornings, 7:30 am - 10:00 am. Fridays, 7:00am-8:30am. Pick-up games for this sport with an unusual name, are fun for all ages. Participants use paddles in a game that combines tennis and ping pong. Singles or doubles can play. Lessons for beginners every third Wednesday of each month from 9:30 am - 10:30am. 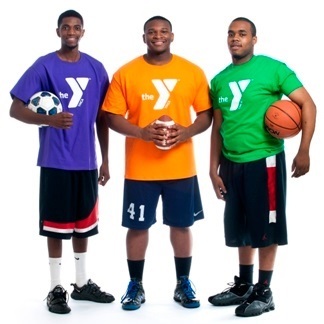 Preregistration is required-ALL participants MUST be registered by the preceding Monday).Lessons are FREE for YMCA members. Day Pass is required for community members.